In my final few years at UBC, I’d long been planning a grad trip in Asia. It would be a celebratory purgatory between the completion of my exams and my graduation ceremony, and would serve as a little treat after surviving 12-hour school days and too many group projects to count. It also seemed like a fitting way to close on the recurring theme of my undergrad experience and therefore my blog: exploring the unknown outside of my comfort zone. What better way to do this than by planning a month-long trip to several countries where I didn't remotely understand the language? I ended up choosing to start in China to visit family, then to venture forth into the unknown: Japan, Korea, and Hong Kong. 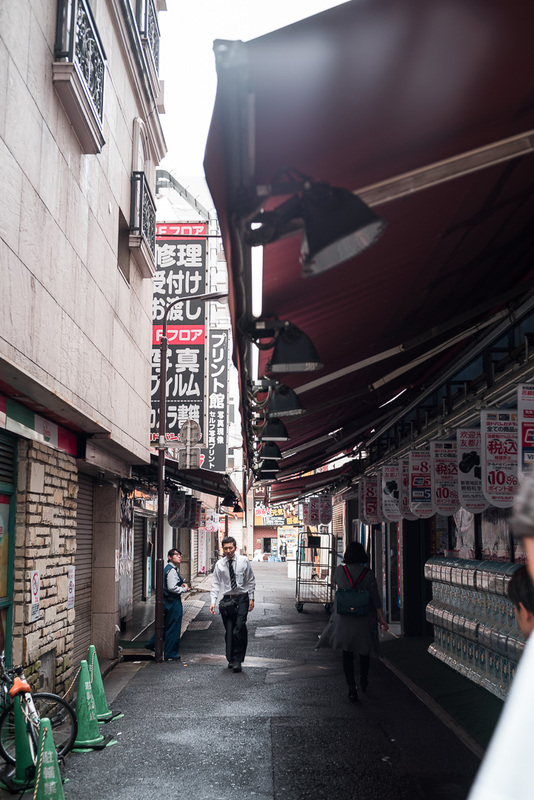 Japan was the country I was most excited for - while I’m not as diehard of a fan as some people are, I’ve always enjoyed the cuisine and general aesthetic, plus it had many of my bucket list destinations. We planned to visit many cities to make the most of our pre-purchased JR passes, choosing Tokyo and Osaka as our home bases. Some warned me that Tokyo is like any other big city, and warrants less attention than the cities around the Osaka area. Upon arrival though, I was enamored by almost everything in sight, and we hadn't even left the airport. I could tell already that I was going to like Tokyo. After settling into an absolutely pristine but slightly cramped Airbnb, we chose to start our first day around the Shinjuku area. We learned to love these little vending machines. Not only are they on virtually every street corner, they're also filled with drinks which are heavily marked up in Canadian supermarkets. Our destination for breakfast, we lucked out and happened to be there when they had some limited edition matcha goodies. Take note: matcha and almond croissants create a heavenly mix. 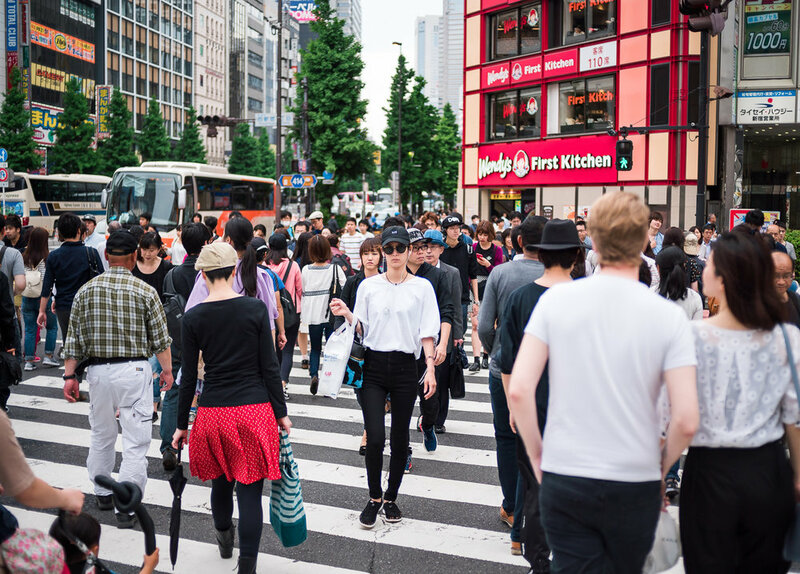 As it's a chain and scattered around and about Tokyo, we'd highly recommend taking a visit. We stumbled upon their Shibuya location a few days later and sampled a few more of their baked goods. It does get quite packed inside, so I'd recommend going early or getting something to go. We didn't grab coffee here however, as our next destination was just a few blocks (and several minutes of searching a multi-story mall) away. While they aren't a uniquely Japanese chain, their minimal design and attention to detail made it seem to me that they were. Their cortado was one of the best I had in Japan, despite the clearly tourist demographic. They also had a white chocolate matcha scone that was testing my self-control, but luckily for my health (and unluckily for my stomach) you'll have to try that on your own. A note that the mall they're located in opens much later than the cafe themselves, so go in through the below-ground entrance if you're a little early. Our first experience with Japan's infamous ramen vending machines, Tatsunoya is renowned for their tsukemen dipping ramen. It was our second choice, as our first choice (Fu-unji 風雲児 ) which was closed during the Golden Week holiday, but it certainly didn't disappoint. Their chasu pork had a brilliant smokey taste, their noodles were a perfect consistency, and the broth was rich, but not sickenly so or overly salty. It did take us about 30 minutes to get in (even at 2/3pm), but rest assured it was worth the wait. Tatsunoya was just past the main shopping/tourist core of Shinjuku, and you could certainly tell that many if not most people weren't locals. Tax-free advertisements lined store walls, and logos of big-name stores dominated building sides. Omoide Yokocho is a historic area filled with little bars and snack stores. 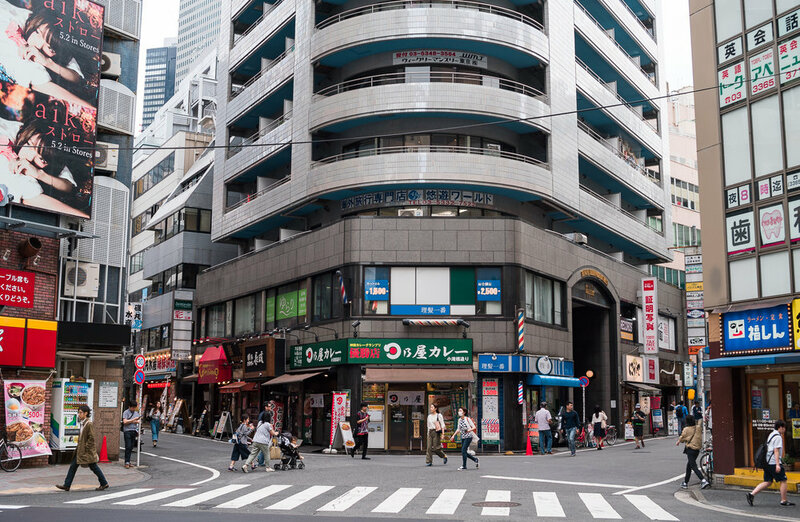 It's hard to believe there's a huge crossing just outside, the juxtaposition is a bit unreal, but ancient contrasted with hypermodern was a consistent theme in Tokyo. It was a long day of walking, so we decided to treat ourselves yet again. This chain can be found scattered about across Japan, and their mochi matcha donuts were a one of a kind experience. While they were far from the best desserts we had, they simply can't be beat for the price. After a pit stop, we were off to our final location for the day to get a skyline view of Tokyo. You may be wondering why there wasn't a picturesque view of Tokyo to end this post with. 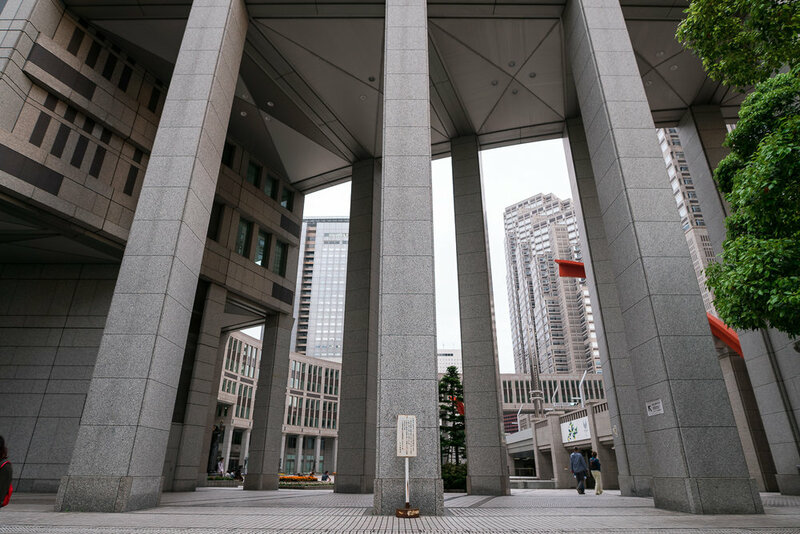 That's because while the Metropolitan Government Building is a supposedly great place to go due to its convenient location and the fact it's free, the latter part also means there will often be a huge lineup to get in. We sadly took a pass, as our legs were giving in for the day. Instead of ending on a disappointment, I instead share with you our daytrip to Showa Memorial Park, a 45 minute train ride from Shinjuku. While Tokyo's metro system is ungodly complicated due to having three separate lines and fares, its reach and convenience made it very easy to take spontaneous daytrips like the one we took to Showa. 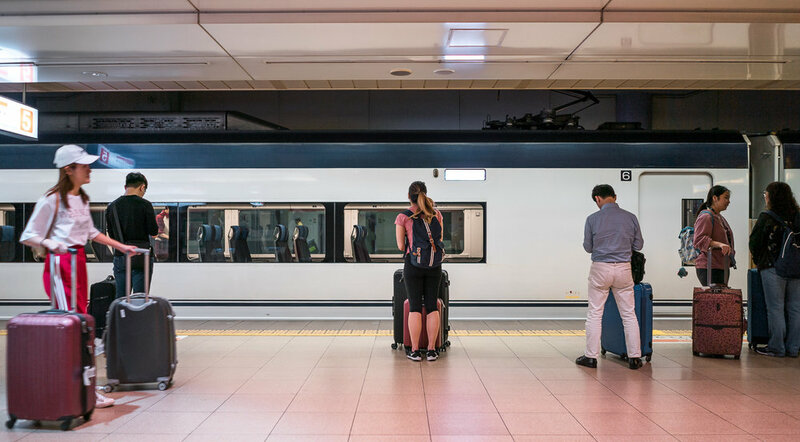 Especially if you have the JR Pass, it's as easy as taking an inconveniently sized pass out of your bag, showing it to the operator, and walking through on many long-distance lines (although some may require booking a seat in advance). A little side tangent here: subways in Japan are a perfect example of how density doesn't have to mean disorder. Rush hour trains are often dead-silent, and everything just seemed to flow in such an organized manner despite how seemingly chaotic the crowds should have made it feel. It even didn't skip a beat when two tourists were constantly lost and walking the wrong way in stations. Showa Memorial Park virtually has something to come for all year long. We tragically missed their "Blossom Forest" by a month, just narrowly missed their tulips, but lucked out with two other flower fields still blooming. Whether you go for photos or for a nice picnic spot, I'd highly recommend checking it out. Slightly sunburned and exhausted from our full day out, we elected to grab sushi takeout from a little restaurant we saw on the subway back. We learned early on that it's virtually impossible to find bad food in Japan: even subway-based bakeries can serve a katsu sandwich that rivals many mid-tier Japanese restaurants in Vancouver, for half the price. The rest was well needed, as our coming days would be just as intense. Next up: Ginza, Shibuya, and a magical nemophila -covered paradise.